When a new world-class course is being built, the golf world typically knows about it—and talks about it—years in advance. But not Congaree, in Ridgeland, S.C., about 30 miles northwest (inland) from Hilton Head. Even the locals didn’t know what was being built on the former rice plantation, while a dive into county records revealed only typically vague construction permits. Which is exactly what the developers—The Friedkin Group chairman and CEO Dan Friedkin and Houston Texans owner Bob McNair—wanted. Each man already owned a high-end private club, Friedkin with Diamond Creek Golf Club in Banner Elk, N.C., McNair with The Golf Club at Briar’s Creek on John’s Island, S.C. But Congaree was always going to be something different: A world-class design, of course, but just as important, a test of a new model of philanthropy. with these young peoples’ lives, acting as mentors and offering guidance. Congaree is located in Jasper County, one of the poorest counties in the state, with 40 percent of its children living in poverty. There are plans to help the local community in several areas where there is desperate need, including partnering with programs that provide meals and mentorship to kids and families. Congaree has also launched what it calls the Global Golf Initiative, which targets high school students in the U.S. and abroad who are passionate about golf and show academic promise but don’t have the means or support to fulfill their potential. Congaree ambassadors help identify these students who want to attend college and might have the potential to play golf at that level but don’t have access to the right preparatory programs. 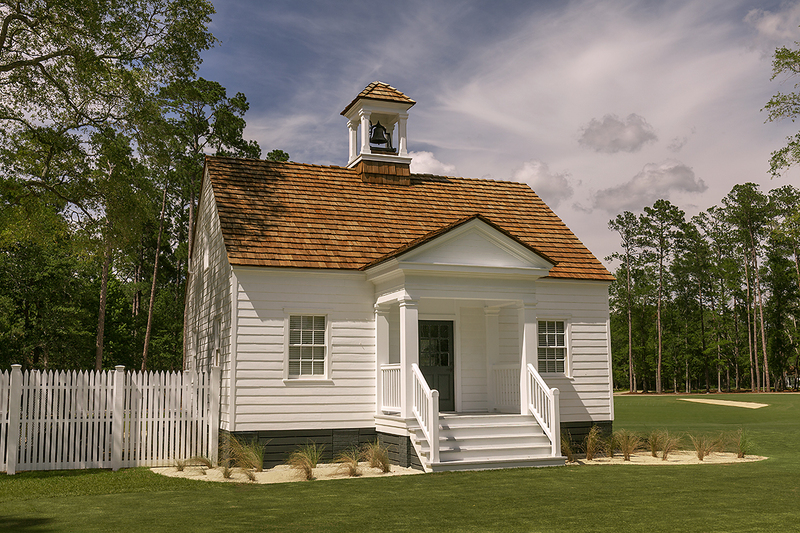 A schoolhouse has been built for them on club grounds where each summer they come to Congaree for an intensive curriculum to prepare them for the college admissions process and success in life. During the program they work closely with academic advisors, college counselors, life-skills mentors, athletic trainers, and golf instructors. The kids also will connect with the ambassadors, who will offer them advice, support, and encouragement both while at the club and at home. The foundation and its charitable efforts are only half the story. To attract an elite group of supporters and ambassadors, Friedkin and McNair built a world-class golf club. 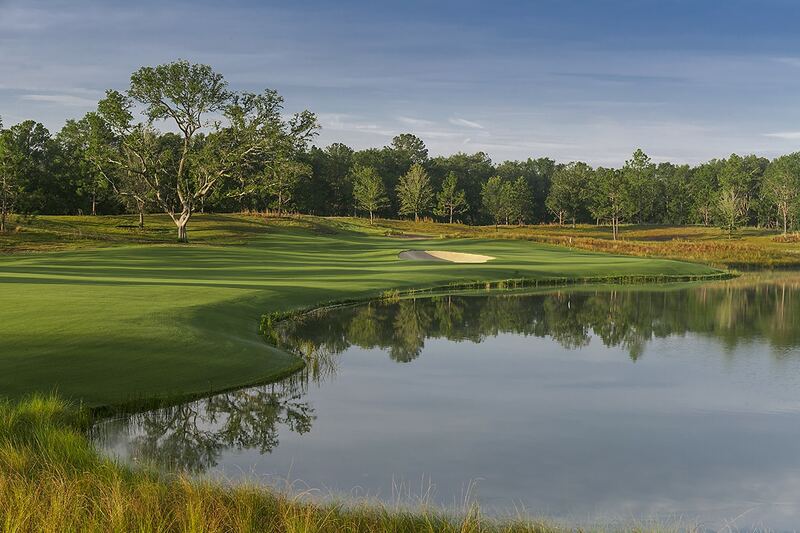 It’s a Tom Fazio design, but unlike any you’ve seen before, wide open with expanses of sand dividing holes and ancient live oaks dotting the landscape. It looks like the courses of Australia’s Sandbelt, which feature sharp bunker edges and rolling hills. You would be forgiven for thinking it was the work of a modern, “minimalist” architect, but for Friedkin—whose course was designed by Fazio—there was never a question who would do the work. More than 75 live oaks were moved during construction and relocated throughout the property. 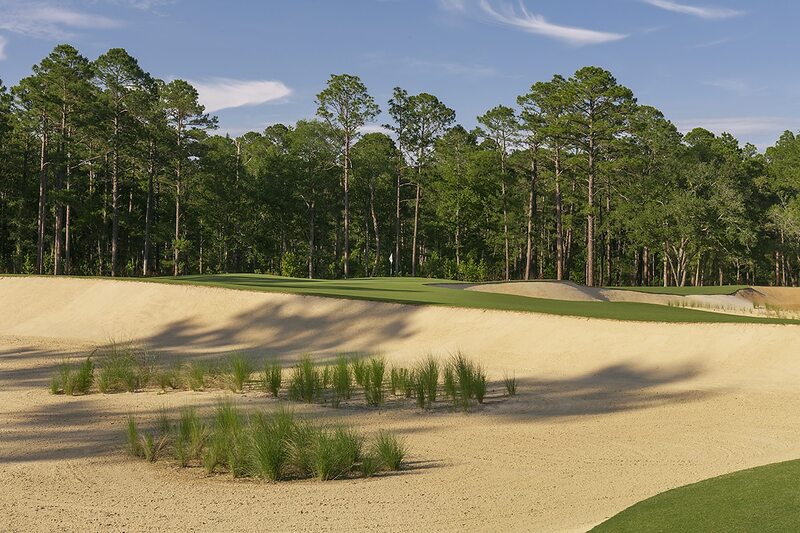 Thousands of pine trees were removed, and where they used to stand Fazio stripped back the topsoil to expose vast waste areas of sand. Large, undulating greens with open fronts offer ample opportunity for on-the-ground links-like play; closely mown runoff areas collect wayward approach shots. The grasses were selected to provide a firm surface in the hot climate. In winter, which will be the main playing season, the course won’t be overseeded, which would require additional irrigation and soften the conditions. There are no tee markers, groups choosing where to begin each hole. 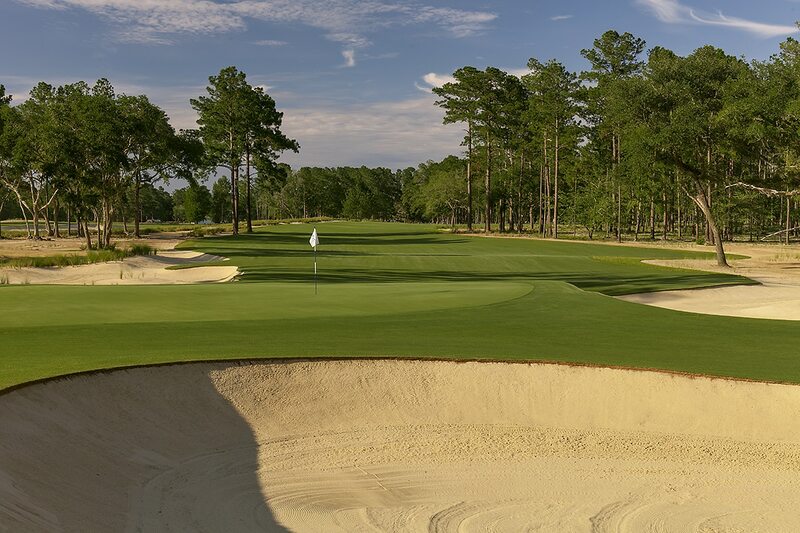 At its longest, Congaree stretches to more than 7,500 yards, Fazio wanting to test the game’s best without punishing average golfers. Eliminating tee markers also removes the stigma of “playing the forward tees” and encourages match play. Adjacent to the course, former plantation buildings have been restored with many turned into cottages for ambassadors and their guests. Modern fittings complement the original 19th-century exposed beams, fireplaces, and stonework. 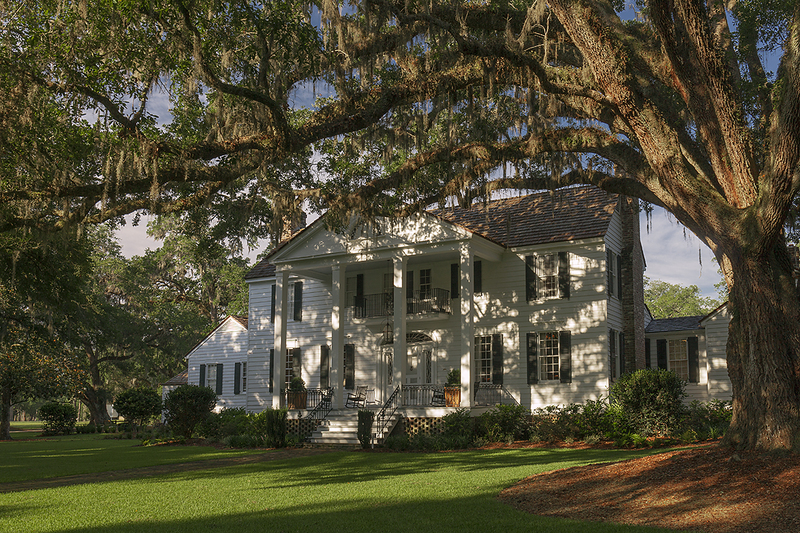 The cottages surround the main plantation house, restored with period furnishings and approached through a traditional “avenue of oaks.” Now the place to enjoy a drink, dine, or relax, it is separate from the clubhouse, which is one of the few new buildings on the property and purposefully secondary to the plantation house. The clubhouse holds the locker room, bar, restaurant, and a large back porch that overlooks the 18th green. Congaree is a bold experiment, an exclusive enclave that puts its philanthropic ambitions center stage. The founders hope that the beneficiaries of the club’s largesse will be as much a part of the club as the course. When the Congaree kids are returning to the property to meet and mingle with their mentors—or, better yet, coming back as ambassadors themselves—the vision will have been truly realized.